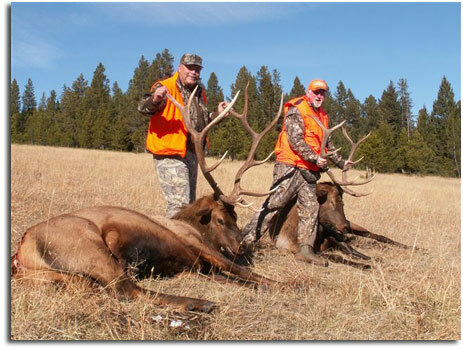 We have had limited elk and deer hunting trips on the family cattle ranch in southwestern Montana since 1994. It lies in the foothills of the Sapphire Mountains in hunting district 211. This ranch is 10,000 acres of prime grass meadows with plenty of pine forest cover and flowing springs and creeks. The ranch is bordered by forest service of which we are permitted. 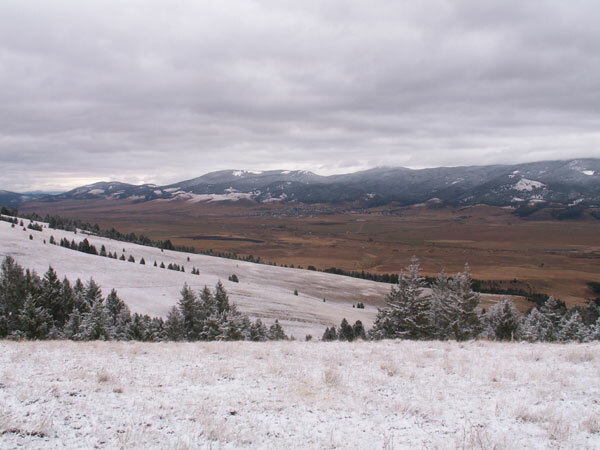 We will access the elk hunting areas with 4x4 vehicles then stalk by foot through this game-rich country to provide a terrific elk and deer hunt with lots of action. Terrain would be considered mild to moderate and elevation is 6800 ft. You should expect weather that varies from 0 degrees with snow to 50 degrees and sunny blue skies, so dress in light to medium layers of fleece or light wool blends. We have a cook that provides fantastic home-style meals 3 times a day. You will also enjoy the relaxing, tranquil atmosphere and spectacular Montana scenery. We operate 2 weeks of a 6 week season in archery and 2 weeks of a 5 week season in rifle, so the elk hunting pressure is minimal. 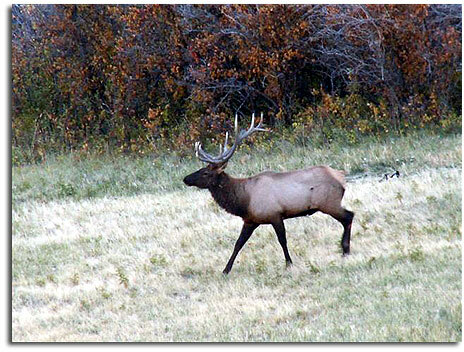 Over the last 15 years we have enjoyed an 85% sucess rate on elk! Bull elk usually age in the 2 1/2 - 3 1/2 year range. All Montana rifle hunters must wear 400 square inches of blaze orange. 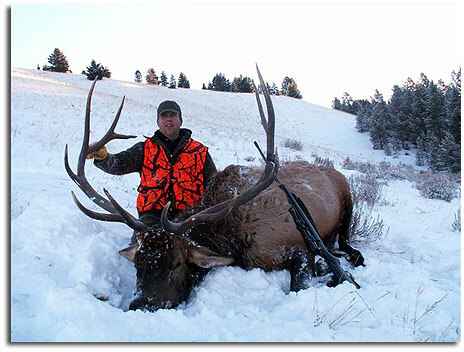 Also please read our frequently asked questions about our elk hunts: Our Elk Hunt FAQ's. A couple pictures we've taken from our private land elk hunts.